Embrace teachable moments when they occur. When feedback is offered in real time, every day, it leaves the performance reviews to focus on career goals. You have seen (maybe even used) the daunting, awkward eight-page employee reviews. The reviews that nobody wants to fill out, let alone talk about. Your team may be better served by shorter reviews, focusing on what is going well, what isn’t, and career goal setting. Now is the time to evaluate your performance reviews to design creative, innovative ways in encouraging and supporting your team. Einstein said that insanity is doing the same thing over and over again and expecting different results. Is that how you feel about your current performance review process? “Nine out of 10 companies surveyed by research firm Society for Human Resource Management reported using annual or semi-annual performance reviews—but just three out of 10 believed they did them well,” according to “How Companies are Changing the Dreaded Performance Reviews,” in Fast Company. Most performance reviews grade a team member on their past performance, often by an upper-level manager that doesn’t even work with the team member “in the trenches.” Is it any wonder performance reviews are seen as dreadful? “Instead of being told about a weakness that must be improved upon (the old-school way of doing reviews), employees want to hear feedback on how they may wish to ‘continue’ certain behaviors, or ‘consider’ alternative options,” according to Fast Company’s article. Reviews are about feedback and development. a) I like this, keep it up. b) I don’t like this; stop it now. c) Together, let’s design your career goals (SMART goals) for the next 12 months with titles, mentorship, progress reports (three, six, nine months), and resources needed for success, and determine the merit associated with your career goals (preferably three goals defined). There must be clear expectations in employment, standards of care, training, and professionalism before moving forward with improving performance reviews. Evaluate your current polices outlining expectations in your employee handbook, and make sure everyone on your team is aware of your standard of excellence and operating procedures, and that training is completed to 100 percent of those expectations. The Gap, for example, does monthly coaching sessions between team members and management—known internally as GPS (Grow, Perform, Succeed) instead of annual reviews. The idea is to empower the teams in giving and receiving real-time feedback, supporting personal and professional growth. 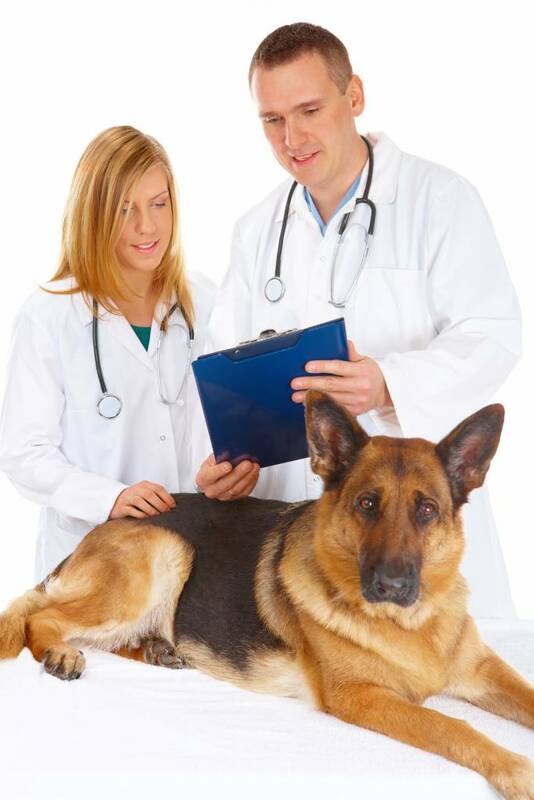 I understand how difficult it is for veterinary teams to give and receive feedback. This is the largest hurdle to overcome in improving your performance reviews. I see the anguish on team members’ faces every time we talk about feedback. Giving and receiving feedback is painful for most (seriously, causing nausea and sweats), but team members can become good at it. 1. Create safety. In order for people to be able to accept feedback, there needs to be a certain level of trust and comfort. Ideally, teams trust each other, allowing for continual feedback (give and take) in performance and professional development. Opportunities that build confidence and skills are the best. Approaching the “teachable moment” in the spirit of support and improvement is far better than being mean or trying to prove someone right or wrong. Most often, feedback is best given one-on-one, during a time when a sincere conversation can occur. 2. Be specific. Sugar coating feedback may create confusion. Be clear in the expectation. As an example of sugar coating, “Casey, you do a great job, but I wish you would arrive on time.” A better example may be, “Casey, I noticed you showed up late this morning. Is anything wrong? (Then pause and listen.) It is important you arrive on time, punching in at 8:00 a.m. in the morning.” When you ask a question at the beginning, you are allowing for an inquiry to verify the circumstances. Follow up with solutions or suggested behavioral changes. 3. Timely feedback. Waiting to give three months’ worth of feedback during performance reviews is inappropriate and downright rude. Your team members will benefit from timely, in-the-moment (when appropriate), corrective feedback. As an example, a new hire is shown the sterile strip indicator goes on the top of the surgical pack. Upon opening a surgical pack, the sterile strip indicator is under the instruments. The trainer, in the moment, points out the discrepancy, reiterates the reasoning for the indicator to be on top, and continues on. Later, the trainer can ask if the new hire understood the process and reason. If this feedback is offered three months later, the moment is gone and the new hire is set up for failure, rather than success. When feedback is offered in the moment, it leaves the performance reviews to focus on career goals and collegial discussion. 4. Feeling unfairly criticized. There will be times when a team member feels he or she has been unfairly criticized. Inaccurate or ungrounded feedback leads to resentment. When this happens, as a manager, allowing for continued, open dialog is imperative. Team members supported in conflict resolution will continue the conversation, finding common ground and solutions. When team members are not allowed to talk about their frustrations and feelings, the conflict will continue to brew, causing far more conflict. 5. Catch them doing something right. Giving reassuring, encouraging, and specific feedback is important. Catch your team members doing things right! For the team members who like positive reinforcement in front of others (some don’t), acknowledge a job well done with others present. Appreciation goes a long way. Deliver veterinary team performance reviews in a way that shows team members they are valued and their contributions are appreciated, helping to ensure that patients and clients continue to receive the best medical care and the team continues to flourish. Embrace the three shifts needing to occur to develop creative and innovative reviews and move toward real-time feedback and professional development.